16 Jun 2016 --- Bunge and Cargill are to continue trading with a leading Malaysian palm oil trader and producer, despite the company facing allegations that its subsidiaries helped deforestation in Indonesia and having its sustainability certificates suspended, according to a report. According to the Financial Times, the two agricultural commodity traders are to continue trading with IOI Group, despite it being rocked by allegations which have led Kellogg and Mars amongst others to sever ties with the palm oil trader. 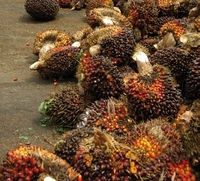 IOI Group was one of the founding members of the Roundtable on Sustainable Palm Oil, but it was suspended in March this year over its operations in the Ketapang area of Indonesian Borneo, where three of its subsidiaries are alleged to have violated a raft of RSPO standards meant to prevent rainforest destruction and social conflict, and some laws. Bunge and Cargill have both been advocates of trying to halt deforestation and made pledges to help eradicate it. However, the two companies argue that by continuing to act as trading partners to IOI Group, they could help enact change at IOI Group. Speaking to the FT, Bunge said it hoped that it could help change IOI's sustainability policies.